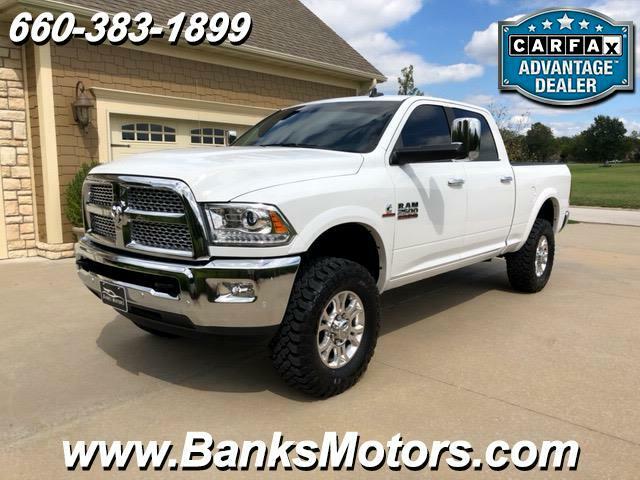 Immaculate 1 Owner Ram Turbo Diesel with Perfect Carfax! BRAND NEW 35 x 12.50 x 18 Falken Wildpeak M/T Tires and Rough Country Leveling Kit! Loaded with Options! This truck is Clean Clean Clean and comes with Heated and Cooled Leather, Heated Steering Wheel, Dual Power Seats, Backup Camera, Mirror Dimmer, Integrated Trailer Brake Control, Power Folding Mirrors, Dual Climate Control, Bluetooth, Mounted Audio Controls, Front and Rear Park Assist, Tow Package, Exhaust Brake, Custom Tinted Windows, Cooper Discoverer Tires in great shape, Bedliner and so much more!! This Ram is Absolutely Awesome!! We are located in Clinton, MO, less than an hour southeast of Kansas City! No Games, No Gimmicks, Just the Right Way of Doing Business!